A Weld-It-Yourself kit designed by Tim from Custom Auto Solutions and open-sourced. We are providing the kit for those who want to build their own HDFB bumper. 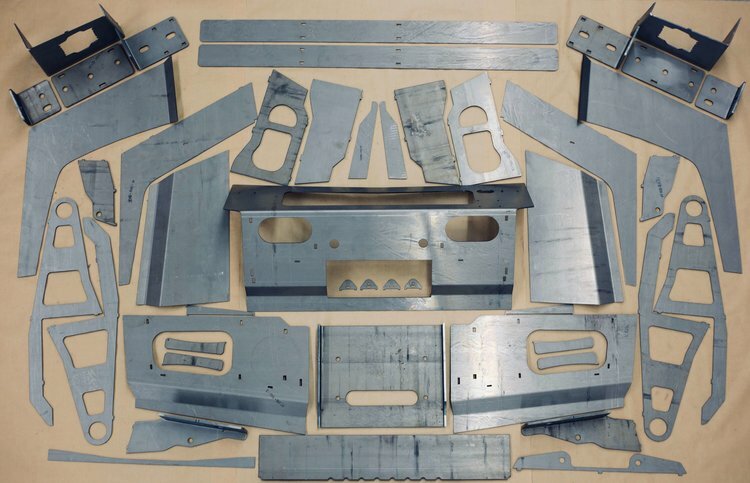 The kit comes with all the sheetmetal pieces from "Tim's HDFB Kit" pdf. They are laser cut from pickle and oiled steel and are CNC formed for an exact fit. The fabricator is responsible for forming the pieces with large radius noted per Tim's instructions. Tubes can be prebent for an additional fee. The tubes will be the right size and formed per the instructions but the fabricator will be required to cut and cope to the appropriate length.